involves the deliberate storage of surface water in aquifers during relatively wet years, for use in dry years. reductions caused by a warming climate, both tools are likely to become increasingly important. 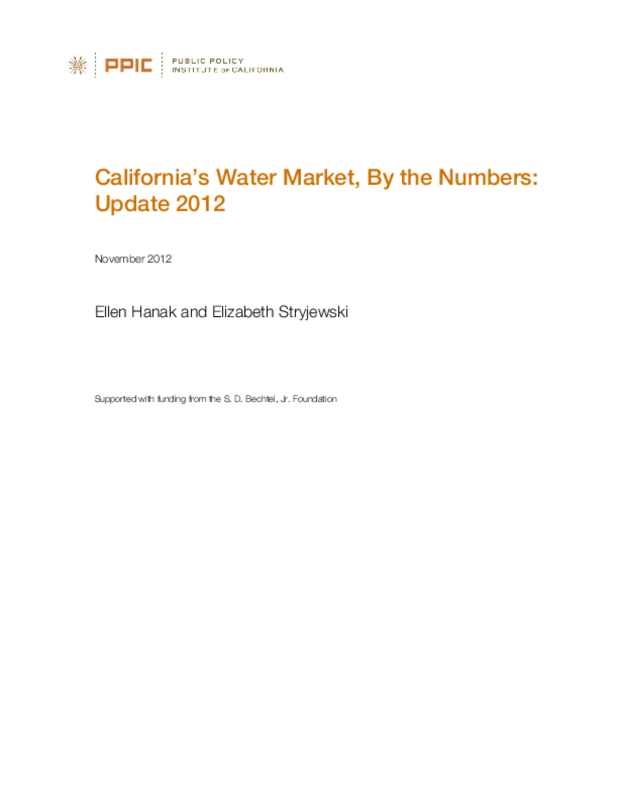 1982-2011 and new information on groundwater banking in Kern County and Southern California. Copyright 2012 Public Policy Institute of California. All rights reserved. Short sections of text, not to exceed three paragraphs, may be quoted without written permission provided that full attribution is given to the source.